Welcome to Buff Creek Concepts, Inc.
Now scheduling projects for Spring 2019! Contact us today! We are a family owned construction company located in Bruce, WI. We pride ourselves in our high quality work and superior customer service. We invite you to browse our website and learn more about our company. Setting your building on concrete? No problem! We are also a concrete contractor. Unlike other Post Frame Contractors, we are a full service construction company. We keep the costs affordable by not having to sub out phases which typically adds 15 to 20 percent to your project. Check out this video of our concrete crew in action. 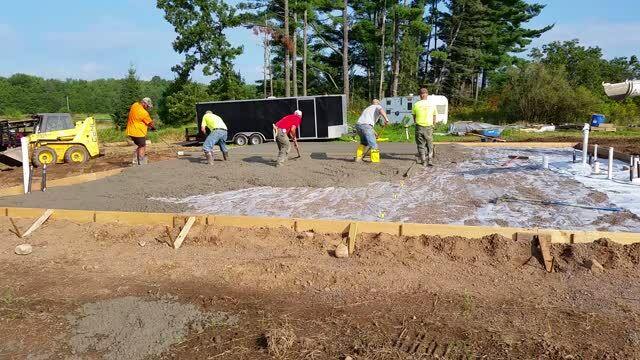 Buff Creek Concepts uses a roller screed when pouring concrete. This allows for a more level and flatter surface than the traditional way.